It’s called raw chocolate within the health food industry for its robust taste. Under the FDA definition its called chocolate liquor, though it's non-alcoholic. The home baker's term is unsweetened baking chocolate. We call it Unsweetened Chocolate Pure Cacao because this is the most descriptive. 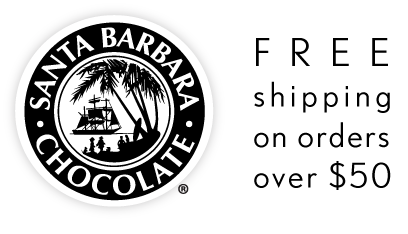 Santa Barbara Chocolate's no sugar added baking chocolate has become a favorite among sugar aware people and athletes seeking authentic pure cacao. Use our bulk 100% cacao organic unsweetened chocolate in recipes calling for baking chocolate or melt with your own sweetener to create fun custom chocolates. You have found the bulk dark chocolate supplier. Grade AA cacao ingredients are sourced with a keen social awareness of ethical trade. Our organic chocolates have passed stringent requirements, guaranteeing you the superb quality and true taste of genuine Rainforest Chocolate, while sustaining the forest and livelihood of the amazing people who live there. Savor the real flavor of 100% chocolate.